Our favorite Trolls are back in all new hair-raising adventures in the fourth season of DreamWorks "Trolls: The Beat Goes On!" New episodes of this delightful musical series premiere on Netflix this Friday, November 2. 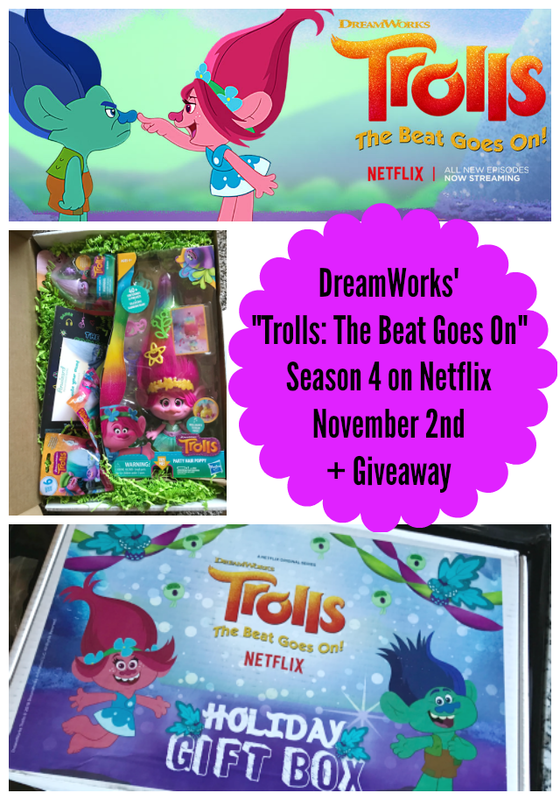 DreamWorks "Trolls: The Beat Goes On!" returns with the voices of Skylar Astin (Pitch Perfect) as “Branch”, Amanda Leighton (The Fosters, This Is Us) as “Poppy”, Kari Wahlgren as “Bridget”, Fryda Wolff as “DJ Suki” and “Satin/Chenille”, Walt Dohrn as “Smidge”, David Koechner (The Office, Anchorman) as “Buzby”, along with more of the colorful voice cast from the previous seasons. This season includes five new original songs and tons of more fun in Troll Village! Synopsis: Poppy, Branch and all of Troll Village are back in all new hair-raising adventures in season 4 of DreamWorks "Trolls: The Beat Goes On!" While Branch must learn the ancient Trolls martial art of “hair-jitsu,” Smidge tries to impress her new crush, the village “critter-narian,” and DJ Suki sets out to stage the most awesome party ever. Additionally, to double your excitement, I wanted to introduce you to the coolest, most fantastical party ever at DreamWorks Trolls The Experience coming to New York City this holiday season. Trolls the Experience will be an immersive, interactive, and fantastical activation that brings the colorful and musical works of DreamWorks Trolls to life. The visually stunning experience opens on Thursday, November 15 and will give visitors an opportunity to celebrate with the DreamWorks Trolls while creating unforgettable family memories. Tickets to DreamWorks Trolls The Experience are available now on TrollsTheExperience.com. 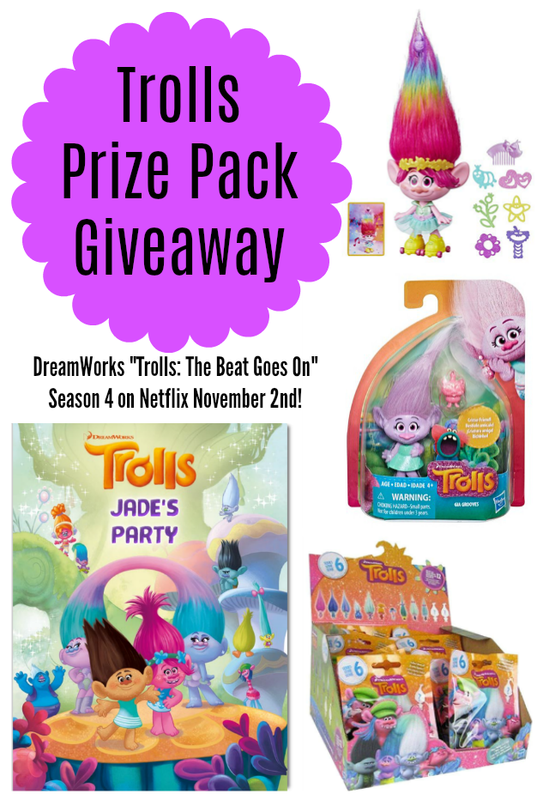 One Nanny to Mommy reader will receive a Trolls Prize Pack which includes: Poppy Party Hair Doll, a Personalized Book from Penwizard, Trolls Blond Bags, and more! Entry is simple, just follow the prompts on the Rafflecopter below. Open US only, must be 18+ to enter. Winner chosen via Random.org through Rafflecopter. All winning entries are verified. Please follow us on Facebook to stay up to date with our current giveaways. Good luck! 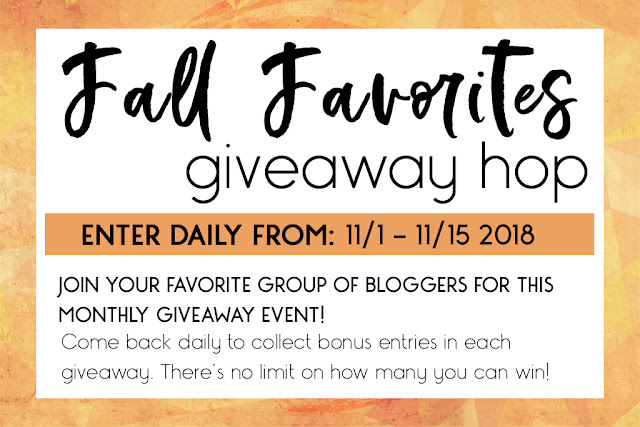 Welcome to the Fall Favorites Giveaway Hop brought to you by The Hopping Bloggers! If you’re a blogger looking to connect with brands: Join The Hopping Bloggers database and get started today! If you’re a brand looking to work with a network of professional bloggers: Check out the creative campaigns The Hopping Bloggers has to offer! I received complimentary products to share this post. All opinions are my own. This contest will run thorough November 15, 2018 at 11:59 EST. No purchase necessary. US entries only. Must be 18 years or older to win. This promotion is in no way sponsored, endorsed, or administered by or associated with, Facebook. You understand that you are providing your information to Nanny to Mommy and not to Facebook. Please note that Nanny to Mommy and other participating bloggers are not responsible for sponsors that do not fulfill their prizes. We have represented each sponsor with the expectation they will fulfill their prize in a timely manner. We will contact the sponsor regarding your prize(s). The sponsors, in most cases, are shipping their items to you directly. I will make every effort to assist you obtaining your prize. If there is an issue with a sponsor, please notify the blog you won a prize from within 4-6 weeks for assistance, after that we may be unable to assist you. I have not seen it yet since I dont have Netflix but I am sure my grandson has. We have watched it and both of my girls love it! Trolls are so fun! I know this is a popular series. We have not watched it yet. I have not watched it yet. I have seem a little of it. I watched It with my niece. We really love dancing along to the music and all the bright colors. We love the Netflix trolls show! we watch it often! I haven't watched, but my nieces love it. we have seen that movie sooo many times, i love the music and my daughter can sing it all! We've seen the Trolls movie & love it! My little girl loves Trolls- the movies and the series. Princess Poppy is her all-time favorite character. I haven't seen the Netflix series, but I thought the movie was really cute! My 3 year old loves the trolls! I would love to watch this with her! I haven't watched it but my daughter has and she loves it. I have seen just a little of this movie. My granddaughter loves the trolls and the music so I would love to win for her. I have seen the Trolls movie just not the show yet, I would love to win for my kids. I have not watched the series, but I love the Trolls as a kid! Yes, I watch this new Trolls cartoon with my littles all of the time! We love it, it is just as colorful and fun as the movie. :) I would love to win this for them! I haven't seen it but my granddaughters have and they would like to have this. I watched trolls with my kids and enjoyed the movie. I have not seen the Trolls movie yet, but it looks so good! I haven't watched the series but seen the movie! I loved all the music that was in it! Yes i seen it and it is so cute. MY daughter loves the trolls. My granddaughter and I love to watch Trolls and we watch everytime she sleeps over. We love the music.